Our independent surveyors are all qualified to Royal Institution of Chartered Surveyors (RICS) standard and are all members of the Independent Surveyors and Valuers Associated (ISVA). We carry out full structural surveys, property reports, dilapidations reports, commercial building surveys, residential building surveys, specific defects reports, boundary surveys and offer advice on property problems. 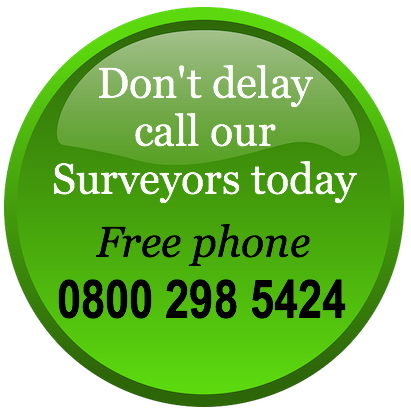 Free phone us on 0800 298 5424 to book a survey and get advice from one of our experienced team. This report is really the best report to open your eyes to all of the potential or actual problems in your new home. Our structural survey report goes into depth on all areas from minor to major and looks at the property from top to bottom, inside and out. You will be advised on areas that concern the Surveyor, why the building Surveyor feels there is a property problem there and in most instances what the independent Surveyor feels you need to do in order to rectify them. Our structural survey reports include full colour photography, technical definitions, and a Helpline service after the report has been sent to you. Why have an independent structural survey? Always have an independent structural survey as this will highlight any property problems. Caveat emptor means buyer beware and is why you need to have a building survey to find out if there are any problems within the property; the estate agent certainly will not advise you of any. If you are looking for a Building Survey or a Structural Survey on a home, house or commercial property we believe as Building Surveyors we have a wealth of experience and expertise that we can use to help you. We will be delighted to send you examples of our structural building Surveys that we have carried out on similar properties to yours and pretty much we have always carried out a survey on similar property to the one that you are looking at although we do appreciate that all properties are unique. You should also be able to ask the Surveyor to advise you on specific areas of concern or perhaps alterations or extensions that you may be considering within the Building Survey, or structural survey. 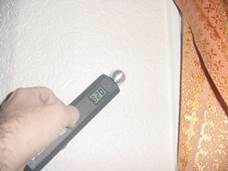 With our surveys you can meet the Surveyor at the property, which we always recommend. At the meeting your Surveyor can explain any issues and problems we envisage together with solutions and costs. Our report gives an Executive Summary. We advise you of what the main priorities are and also use sketches, photographs and anything we feel necessary to explain the problem. Most importantly, we will use plain English. In addition we would also like to introduce to you what we call our Good, Bad and Ugly survey which is a building survey, sometimes known as a structural survey, and is something that we have developed over many years, in fact several decades. We have listened to feedback from our clients and amended and altered our surveys to make them easy to read and describe issues clearly. 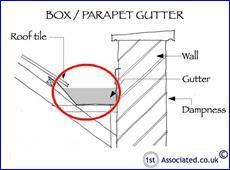 The key factor we reiterate is that we believe our surveys are easy to understand in plain English. Costs. We also have an approximate cost section in the Executive Summary and in the main report which identifies how much a problem will cost to solve. We often give alternative ways to solve a problem so you have a choice of different costs depending upon your financial situation. Why circles and ovals are included in our building surveys? In our building surveys and structural surveys the circles and ovals are a system that we used to draw attention to property problem areas so that you are not left wondering what the property issue is. In addition to this if the survey photographs do not we believe explain the property problem enough together with our survey report we also add in one of our own survey sketches. The Building Survey is suitable for any property old or new (although people tend to think of it more in terms of older, unusual properties). A structural survey is particularly useful if the property is older or has been extended or altered or perhaps been kept in a poor state of repair. However, it should be remembered that new properties are also these days built to a price rather than a quality standard, so equally we find problems with these. All our Surveyors are Independent Surveyors and they are all members of the Royal Institution of Chartered Surveyors, otherwise known as the RICS, and they are also members of the Independent Surveyors and Valuers Association, known as ISVA, whose motto is 'Putting the client first', which is also what we believe. We have put hundreds of different of types of Building Surveys and Structural Surveys on our website because we want you to see how good our surveys are. We have more than likely put a survey of a property that is similar to the one that you are looking to buy. If you free phone us on 0800 298 5424 we would be more than happy to have a chat and discussion about the property you are wishing to buy and it is more than likely we would be able to find an example survey that is similar to your property or at the very least from the same era, as we do feel that over the years we have now surveyed nearly every era and most property types. You will also find lots of testimonials and recommendations on our website from happy customers. We do have customers coming back over the years to use us again and again, as we do have families where every member of the family has used our services over the years. Equally, with commercial properties we have companies that have grown over the years and as they buy new properties we help them with surveys, schedules of condition and property reports. We are also very precise about the quality of surveying equipment that we use not just accepting any equipment and where it is not available in the UK we import into the country if we believe this is required. Typical equipment that Surveyors use is levels, knifes, screwdrivers, saws but we supplement this with other very specialist surveying equipment which we have available to use on structural surveys and on Specific Defects Reports. This specialist surveying equipment can be anything from specialist resistance meters to surface temperature testers and a number of different relative humidity measurers to anemometers. 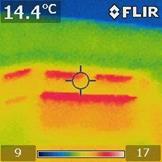 In addition we use various gauges to measure angles of roofs and thermal imaging cameras. Our independent Surveyors will not necessarily use all of this surveying equipment when they carry out a survey as it is their expertise that identifies what is needed but it is good to know this surveying equipment is available should it be required. If you need a building surveys, structural reports, engineers reports, specific defects report, structural surveys, home buyers reports or any other property matters please call 0800 298 5424 for a friendly chat.